Although I didn't come anywhere close to completing the 2016 Popsugar Reading Challenge I've decided to take part again this year and thought it might be nice to share regular updates here along the way! These posts will be an overview of the challenge so far, looking at which goals I've managed to cross off the list and sharing book ideas for the various prompts. If you're also taking part in the challenge I'd love to hear which books you're including - get involved in the discussion by leaving your comment below! I originally intended to use this book to fulfil the 'a book that's been on your TBR list for way too long' challenge but after reading it I felt it also fit this prompt well. 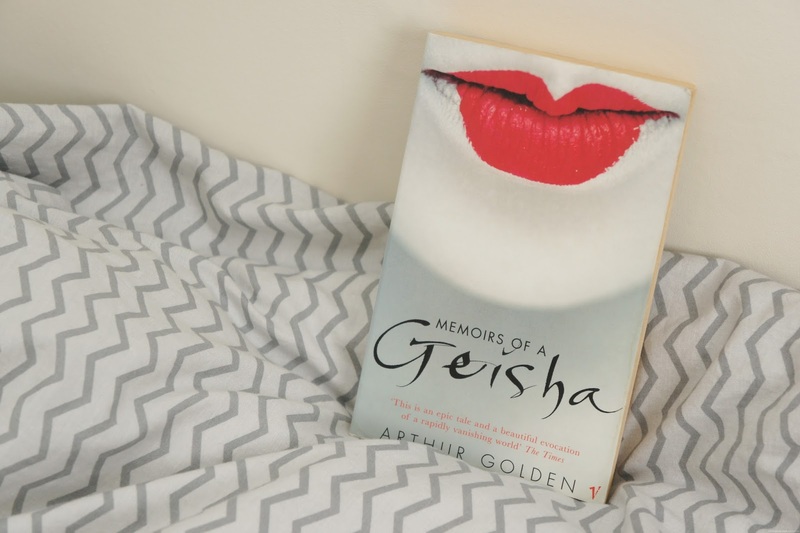 At the beginning of the novel we are introduced to a young girl and across the 400-and-something pages we follow her journey to becoming a Geisha and life beyond - a very interesting read! I first heard about this book from my fellow BB teammates Ria and Anastasia and was encouraged to pick it up after hearing how much they both enjoyed it - they weren't wrong, Sofia's story is a great read! If you want to find out more about the book check out Ria's review! Following Cody after her lifelong best friend Meg commits suicide, this book definitely explores a very difficult subject. Cody is heartbroken, left wondering how she could have missed the signs and goes on a journey to discover exactly what happened to Meg. I haven't read any of Forman's other popular titles however this book has encouraged me to perhaps pick them up in future. Why choose a book with two authors when you can choose one with three?! This book, which perfectly fits the prompt, was already sitting on my Kindle just waiting to be read. In this case, the chapters alternate between the three main characters POVs and each author penned one character, with the book being passed around the group to write the next chapter advancing the story. The Hostage is from James Patterson's selection of 'BookShots'; short, affordable stories all under 150 pages. As yet, I haven't read any of James Patterson's full-length novels, however my mum has been reading her way through them and has recently been picking up some of the BookShots series from our local library. The Hostage was one of the titles she brought home last month and after noticing it was set in a hotel I knew it would be perfect for the challenge. This fast-paced thriller takes place in a London hotel and was a good one-sitting read.